When I pull up to work, it’s still dark outside. I walk past our trucks lined up at the docks, being prepped for the day’s routes. Mornings at the Food Bank begin with the operations team. Our drivers are among the first ones in the building, and often fly out the door on their way to their first stop before anyone else comes in for the day. In addition to our regular morning routine, today we have our monthly transportation meeting. On the agenda: Changes to routes across our service area, update on truck repairs, adjustments to pick up times at our retail partners, and logistics of the N.C. State Fair coming up in less than three weeks. As always, we also review safety standards and check in with the team to make sure everything is running smoothly. And by 7:30 am, they’re off. We carry out the mission of the Food Bank with 17 trucks and 17 drivers, spread out across our 34 county service area through six branches. It’s a lot of ground to cover. Our service territory is 19,000 square miles, which is roughly the size of Switzerland. 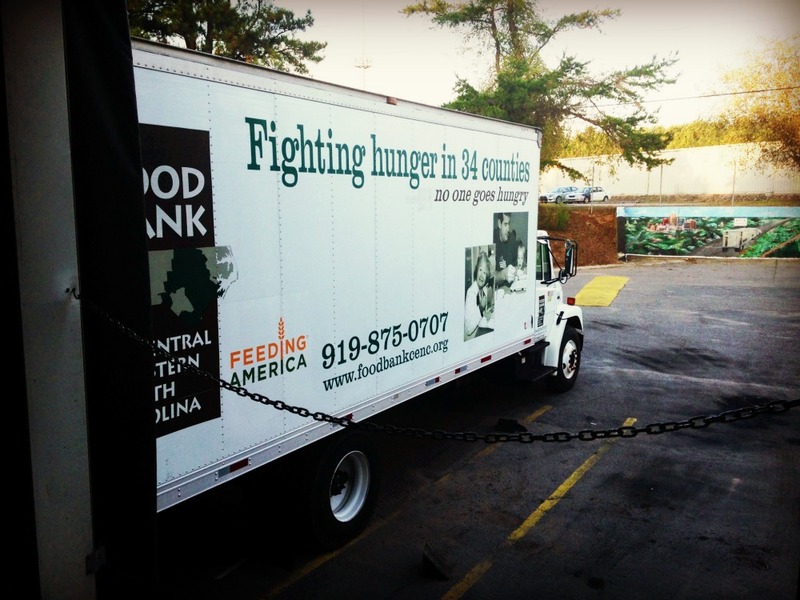 On average, our drivers travel 250 miles every day and distribute 26 tractor trailers full of food every week. Last year, our fleet of trucks drove over 500,000 miles, equivalent to driving more than 20 times around the earth’s equator. 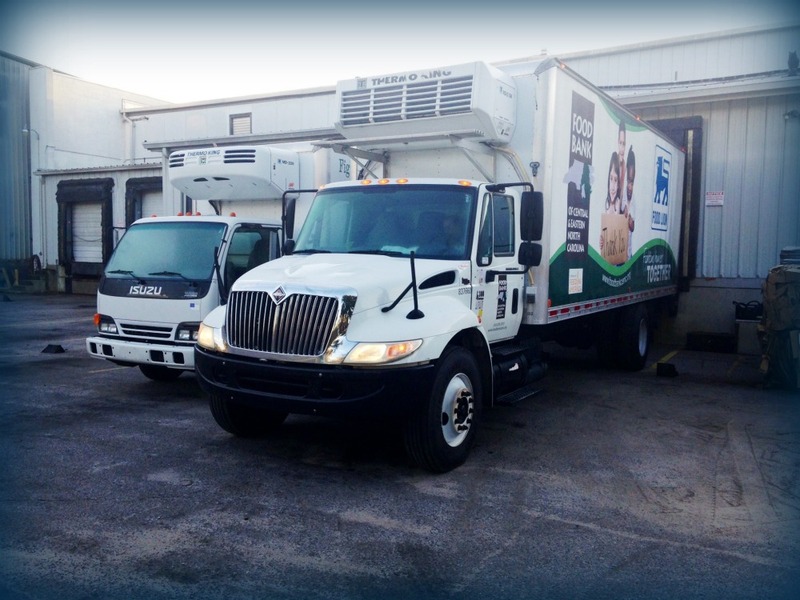 All of our trucks are refrigerated, and our trailers range from 48 to 53 feet long. Needless to say, we stay busy! And that’s a good thing. Without reliable and consistent transportation, and our hard-working drivers, we simply could not provide as much food as we do to folks in need every day. But those miles and heavy pounds take a toll, and there are bumps in the road. For the transportation team, our biggest challenge is the age of our fleet. On average our trucks are more than 10 years old. Some trailers are as old as 14. We use our donors’ generous gifts as efficiently and effectively as we can, so we have a rigorous maintenance program in place that keeps all of our equipment in top working order for as long as possible. But just like with any vehicle, the older the truck, the more issues that arise. On average our trucks get around five to eight miles per gallon, which quickly adds up. As a result, one of the Food Bank’s largest costs is fuel. Last year, we spent $360,000 on diesel alone. We must also plan for unexpected repairs. If a truck breaks down, we must pay to have it fixed. But that doesn’t stop us from collecting and distributing as much food as possible! We keep going no matter what. If a truck is out of commission, we rent another so that we can maintain our routes and keep distributing food to people in need, 6 days a week. Because the fact is, if we can’t make it to one of our retail partners to pick up a donation, they will most likely discard it, and if we can’t make a food delivery to a partner agency, then folks in need may go without food. That’s what keeps us moving at the Food Bank. Every route completed means more food on our shelves. Every mile driven leads to more food on a child’s plate. And when our trucks pull in at the end of the day, we know we’ve made a difference. 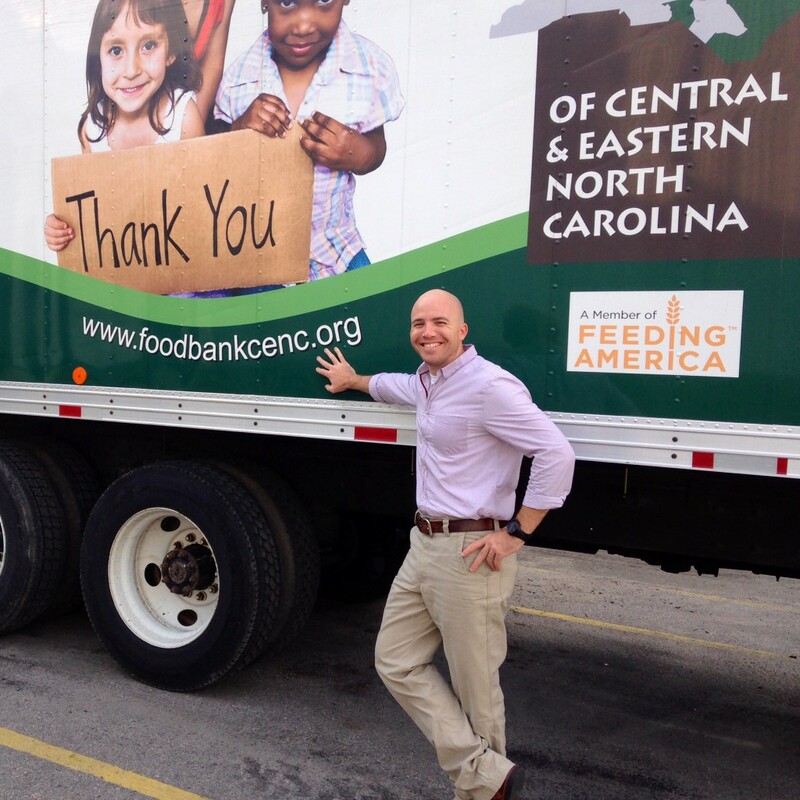 This post is the first of a three part series on transportation leading up to Food Lion Hunger Relief Day at the N.C. State Fair, a day where the hard work of our trucks truly shines. Check back next week for part two, or subscribe to this blog to have it delivered right to your inbox! ← What is a partner agency anyway? Thanks for sharing your story as a transportation and warehouse manager of a food bank. It is so awesome that you are able to deliver so much food every single day! I also really like that you have a plan in the case that one of your trucks breaks down. Hopefully you are able to get new trucks some time in the near future so that you don’t have to have such strenuous maintenance!